The boys' varsity cross country team poses just a few minutes after all completing the District 5k race in personal record times. 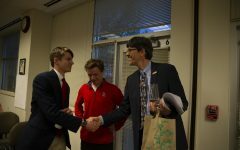 Shortly after, the hounds were awarded first place in the district and advanced to the State Championship. The hounds have done it again. For the eighth year in a row, the boys’ varsity cross country team will advance to the State Championship meet after their outstanding performance at the Class 3 District 3 race earlier today. 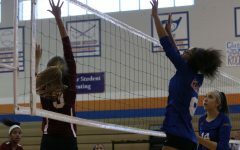 The hounds placed first with a score of 35, a strong lead over the second place team from Westminster Christian Academy. The hounds celebrate with their plaque after winning the district championship meet. Their excellent performance today has put them ranked 4th in the state, on track to win a trophy at the State Championships next week. Unlike last year, the team had been looking for this first place victory. In their 2017 season, the hounds narrowly made it out of districts as a team, finishing in second with only a 9 point lead over Priory. That finish came after three of the top runners graduated and a redistricting brought harsher competition into the meet. Despite losing their top runner from last year, Alex Szabo, the hounds had been expecting a strong season. Juniors George Gelzer and Emilio Rosas Linhard were on track to make up for Szabo’s departure, and the return of senior Isaiah Hayward, from his year in Massachusetts was sure to boost the team’s placement. 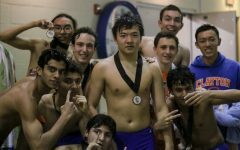 Additionally, most of the varsity team was also made up of returning seniors, like team captains Andrew Wang and Justin Guilak, as well as runners Damien Stahl, Mac Redohl and Andrew Withrow. The anticipated improvement of all of these runners was set to mean a good season for the team. 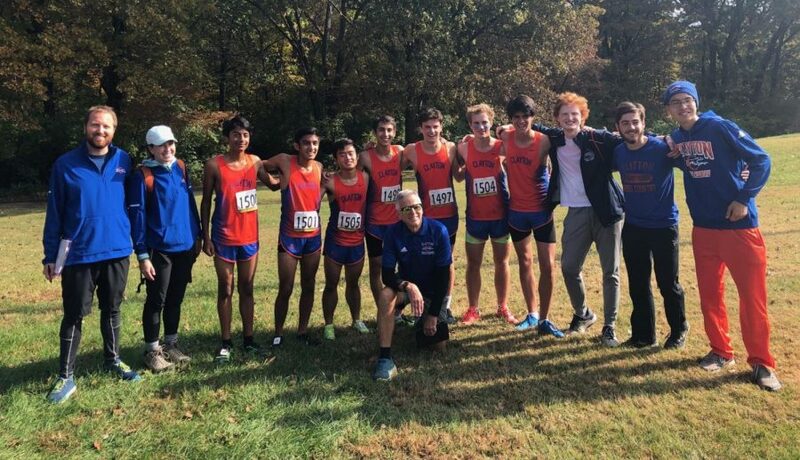 “This is going to be the best team of runners I’ve ever coached,” said Head Coach James Crowe, who has led countless runners to compete and medal at the State Championship race. The season started out rough for the hounds, though, as they struggled to bring the whole team together. 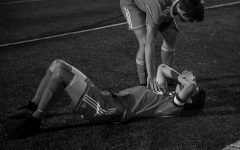 Various injuries and sicknesses throughout the season prevented the varsity team from competing to their fullest ability at any of their eight previous meets. Meanwhile, many of the seniors struggled to keep improving their times or break their personal records (PR). In the place of those missing runners, though, the hounds began to throw in some younger members. 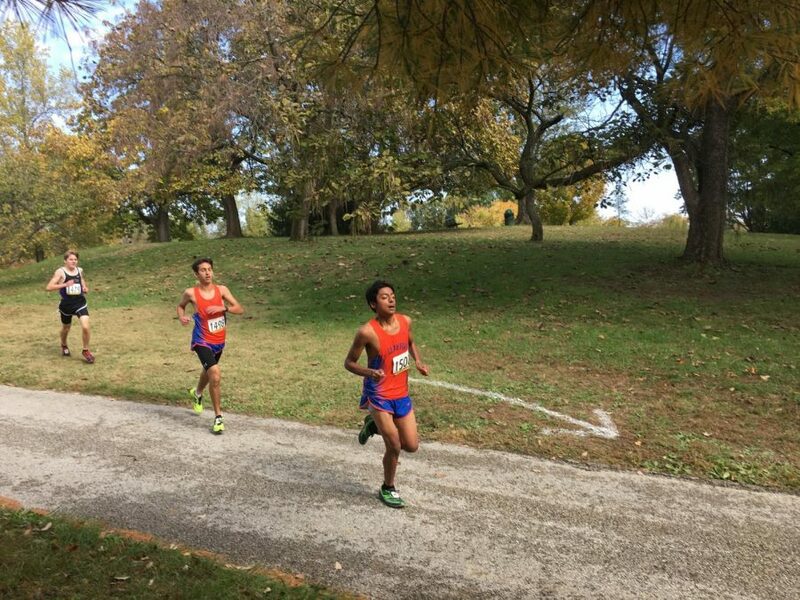 Sophomores Anand Mysorekar and Milan Patel–close friends and even closer runners, sometimes called the “Twindians”–competed against each other for the open spots on varsity, often alternating who got to run. By the time districts came around, there was no clear way to tell which was faster or who might take the seventh spot. Still, the hounds were not aiming for second place. Despite being shutout from winning districts by Westminster in the past two years, the hounds were projected for a first place finish. 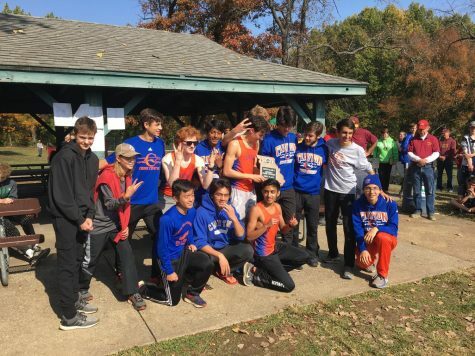 Missouri MileSplit, an organization that tracks high school/college cross country and track times across the nation, predicted Clayton would narrowly beat opponents Priory and Westminster to finish first. At the Lutheran North Invitational earlier in the year, the hounds took down both of those teams while missing one of their top runners. The hounds threw off these expectations, though, with Hayward’s late-season sickness. Losing one of his top runners, Crowe chose to enter both of the Twindians and let them battle it out for the seventh spot at state while Hayward recovered. Hayward had been included in the projections with a fast time, but taking him out made those scores unreliable. 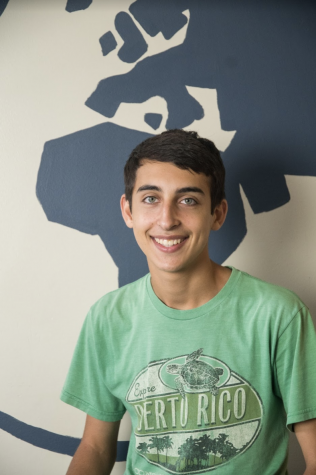 Wang, an avid fantasy sports analyst and founder of the fantasy sports club, used his experience in fantasy cross country to predict another school might give Clayton a run for their money–John Burroughs, home to world-record-holder and predicted-district-champion Brandon Miller. 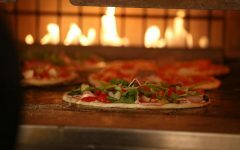 Some were hopeful for big improvements and some were skeptical about the narrowness of the predicted lead. Going into the race, there was no way to tell what could happen. Saturday, Oct. 27. The day of the race. It was a sunny, 53° day, with a little bit of mud leftover at Spanish Lake Park in Florissant, MO from Friday night’s rain. Runners Gelzer, Rosas Linhard, Stahl, Guilak, Mysorekar, Patel and Wang warmed up with a short jog around the course, tied on their timing chips and numbered bibs, put on their spiked racing shoes and lined up at the start line. It was a routine performance for all of them, but the seniors worried it might be their last. The gun sounded, and the race was off. Gelzer led the team out in the notoriously fast first mile of the course, hitting the mile mark alongside Burroughs’s Miller in just 5:04. Close behind were Rosas Linhard and Stahl, also starting out much quicker than their usual pace. Further back, Guilak led the second pack of greyhounds, including Mysorekar, Patel and Wang. The runners headed into the woods for the second mile, isolated from any supportive spectators or coaches. As they circled the lake and began to climb a long, steep hill, the Greyhounds began to separate further. Gelzer stayed strong alongside Miller, passing the two-mile mark in under 10:50. Rosas Linhard came past next, with Stahl close by. Mysorekar, Guilak, Wang and Patel pushed ahead of packs of runners from Westminster, Priory and Burroughs as they reached the top of the hill. Sophomore Anand Mysorekar (right) and senior Justin Guilak (left) head into their third mile during the Class 3 District 3 meet on Saturday. Both runners set personal records for their 5k time in the race and placed in the top 15, earning an automatic qualification for the State Championship. With just one mile left to go, the hounds began to pick up the pace. Gelzer moved along with Miller, as Rosas Linhard and Stahl powered along behind him. The second pack began to break up as Mysorekar and Guilak pushed forward. Finishing in an open field, the hounds began to sprint for a strong finish. Gelzer finished the 5k race (3.1 miles) in second place with a PR of 16:42. Rosas Linhard followed close by in third, narrowly breaking the 17-minute-barrier with a PR of 16:59.4. Stahl was the first senior to finish, also setting a PR and defeating a Westminster runner by 0.38s with his 17:05 finish in sixth. Guilak came next, beating another Westminster runner by 0.04s with a PR of 17:17 to finish ninth. With the biggest PR of the team, Mysorekar finished 15th and ran 17:25 to beat his previous best by almost a minute. Patel also set a strong PR, finishing 20th in 17:41 and breaking the 18-minute-barrier for the first time. Close behind, Wang ran his PR, finishing in 24th with a time of 18:06. 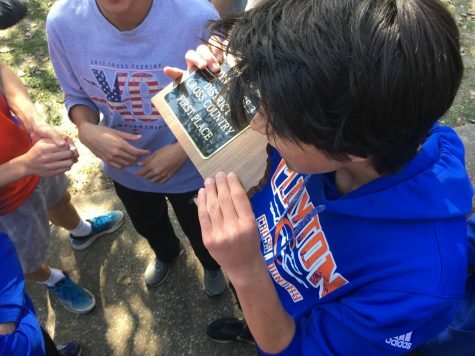 Junior Emilio Rosas Linhard bites into the first place plaque earned by the team as part of a tradition. For the past few years, the hounds have passed the Missouri-shaped plaque around in finishing order to mark it with their teeth as part of their legacy. With all five scoring runners earning All-District by placing in the top 15, the Greyhounds already knew they had won. After collecting their plaque in the awards ceremony, the runners each took a bite into the wood, continuing a long-standing tradition on the team. As results from other districts’ races filed in, the hounds began to check new rankings on MileSplit. 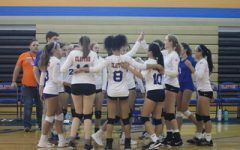 Based on their impressive personal records, Clayton High School was ranked 4th in the state–high enough to earn a trophy for the first time since 1999. As they prepare for the State Championship on Saturday, Nov. 3, the hounds are once again making changes to the roster. Recovering from his sickness, Hayward is set to run there for his final high school cross country race, likely replacing Patel. Once again, running on a different course and entering a new runner make the outcome unpredictable, but the hounds are still aiming for that trophy. From left to right: (back) Assistant Coaches Seth Tuhro and Julianne Crockett, sophomores Anand Mysorekar and Milan Patel, seniors Andrew Wang and Justin Guilak, junior George Gelzer, senior Damien Stahl, junior Emilio Rosas Linhard and seniors Isaiah Hayward, Mac Redohl and Andrew Withrow; (front) Head Coach James Crowe.